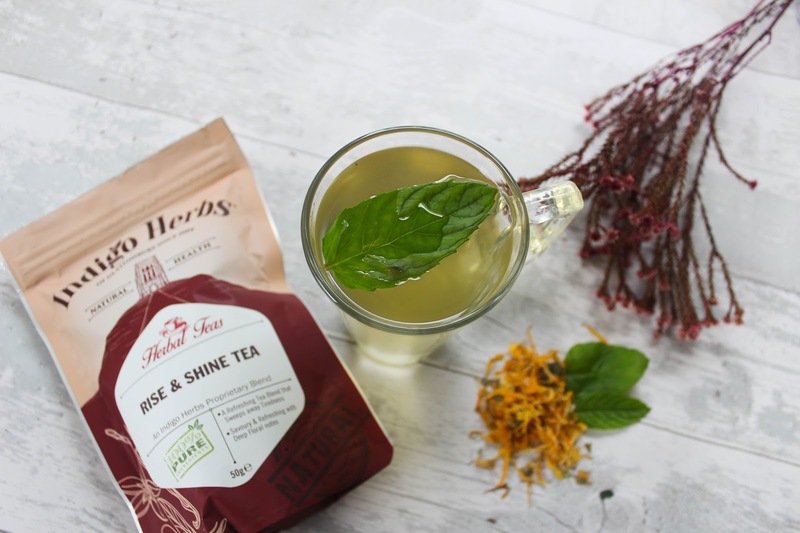 The Rise & Shine Tea comes in a 50g pouch and costs £3.99. It's a blend of Meadowsweet, Calendula, Peppermint, Rosemary, Ginkgo Leaf, Ginger and Nettle. It's an interesting blend and one that I haven't seen before. 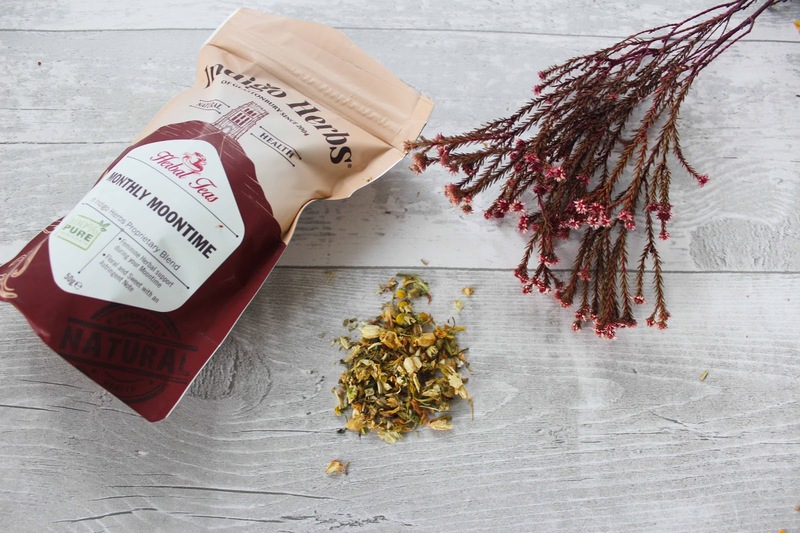 I was hoping that the peppermint flavour would be a little stronger than it is, but I think I'm biased because peppermint tea is one of my all time favourites. Over all this tea is quite gentle in flavour and a nice way to start the day because it's refreshing and up lifting. I also think that at £3.99 is an absolute bargain! Monthly Moontime comes in 50g pouch again at £3.99. This is a blend of Chamomile, Jasmine, Red Clover, Passiflora, Black Cohosh and Skullcap. It's a special balancing and nurturing blend designed for women to have during their period. 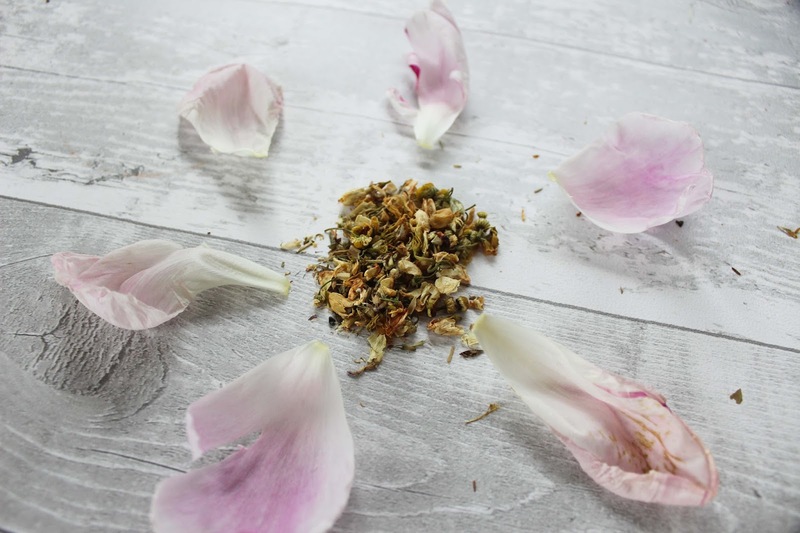 Chamomilem passiflora and skullcap call possess balancing and anxiety calming properties which work wonders when the hormones can be a little all over the place during the time of the month and red clover is known to help with breast tenderness. This tea tastes mild and flowery with chamomile being the predominant flavour. I quite like drinking this tea at bedtime it's the perfect tea to unwind with. Honestly I have to say that I wish I'd know about this blend sooner! Estonian Chaga mushroom tea - comes in a 100g pouch for £9.99. I have to be honest I had absolutely no idea what chaga mushroom was when I saw it on the indigo herbs website and so decided to do a bit of research. It turns out that it's a type of mushroom that grows on birch trees and it happens to be the most potent antioxidant on the planet! How did I not know about this before? Chaga mushroom is an immune boosting, cancer fighting superfood which has been especially popular in Russia for thousands of years. To make the tea you have to simmer a teaspoon of chaga for about an hour on a low heat. The flavour isn't really mushroom like at all, it just tastes quite earthy. I wouldn't call it a particularly delicious drink but because of its amazing health properties I would recommend it to everyone! 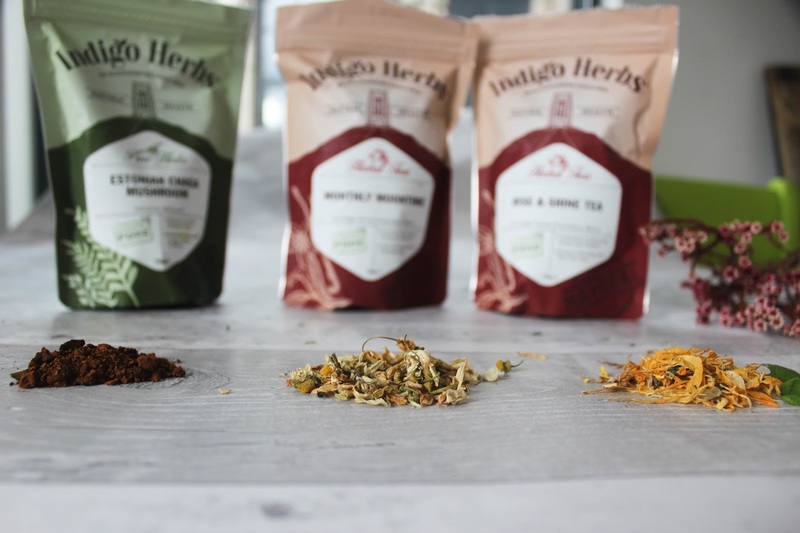 If you're not a fan of the tea flavour there are other ways of getting chaga mushroom into your diet such as chocolate or smoothies, Indigo Herbs have shared some easy recipes. 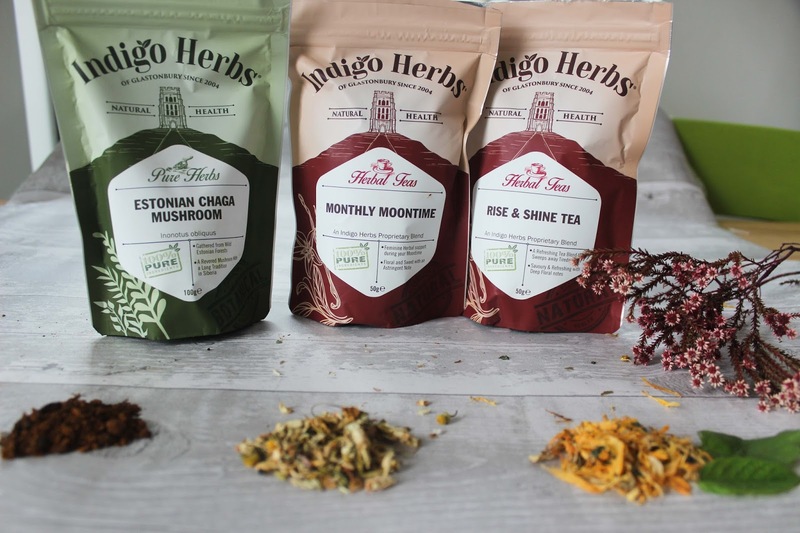 Indigo Herbs have a really wide range of herbal tea which all have a variety of amazing health benefits, yet are still very affordable!